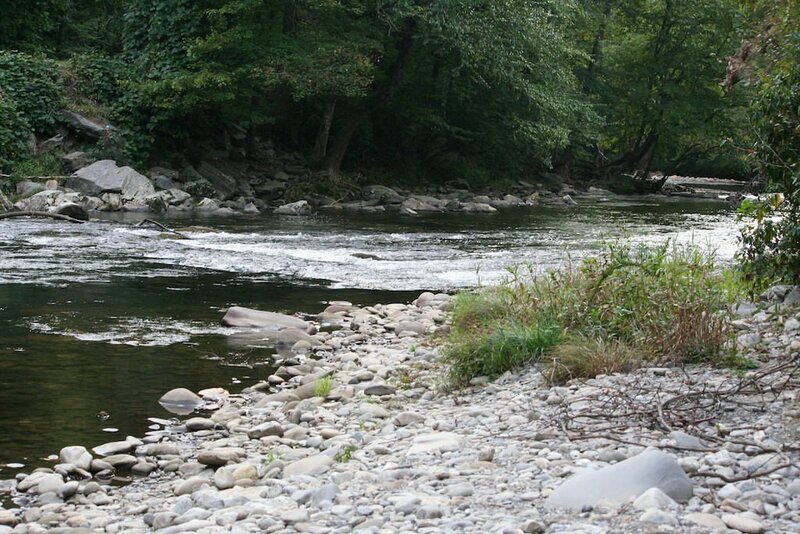 The Oconaluftee River Trail is a great choice for a leisurely amble in the vicinity of Cherokee. 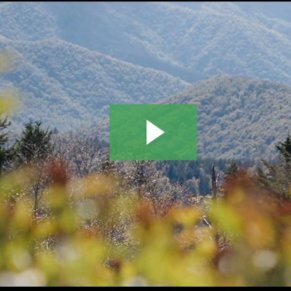 If you’re looking to take your pooch out and about, it’s certainly one of the best of the limited options in Great Smoky Mountains National Park. 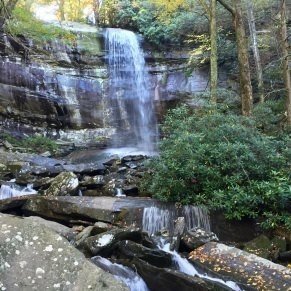 The pleasures of the river and its cool forest are reason enough to walk the riverwalk, but the Mountain Farm Museum and the informative Cherokee signage really sweeten the deal! 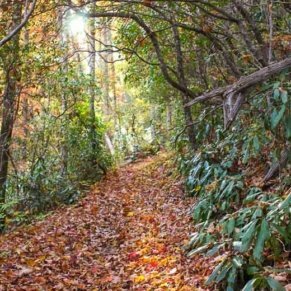 The Oconaluftee River Trail is the southern analogue to the Gatlinburg Trail on the other side of Great Smoky Mountains National Park. Both of them are riverside routes, and both link one of the park’s visitor centers with one of its bordering cities. Furthermore, these two multiuse paths are the only ones in the national park that allow bicycles and dogs. 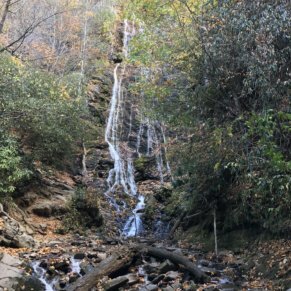 Three miles out and back, the mostly level Oconaluftee River Trail is an easy and enjoyable walk along one of the major drainages of the Great Smoky Mountains. It also doubles as a fascinating outdoor lesson in regional history and culture. 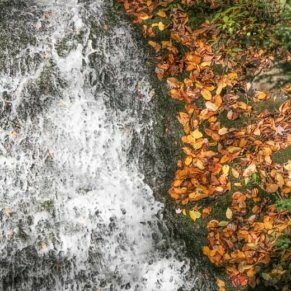 The Oconaluftee River Trail lets you stroll from the Oconaluftee Visitor Center southeast to the edge of Cherokee, North Carolina. 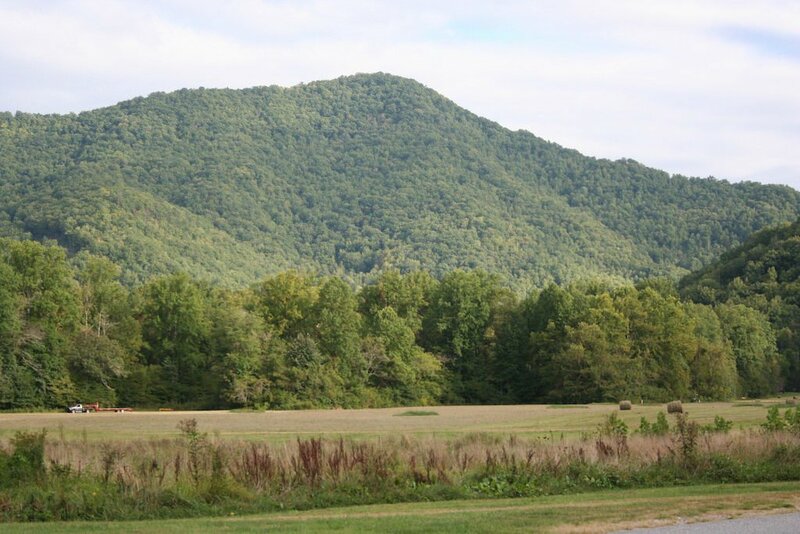 You parallel the great Oconaluftee the whole way (not to mention US 441). Naturally you can start at either end, though we’ll discuss it north-to-south. Spare some time for the attraction at the Oconaluftee trailhead: the Mountain Farm Museum. 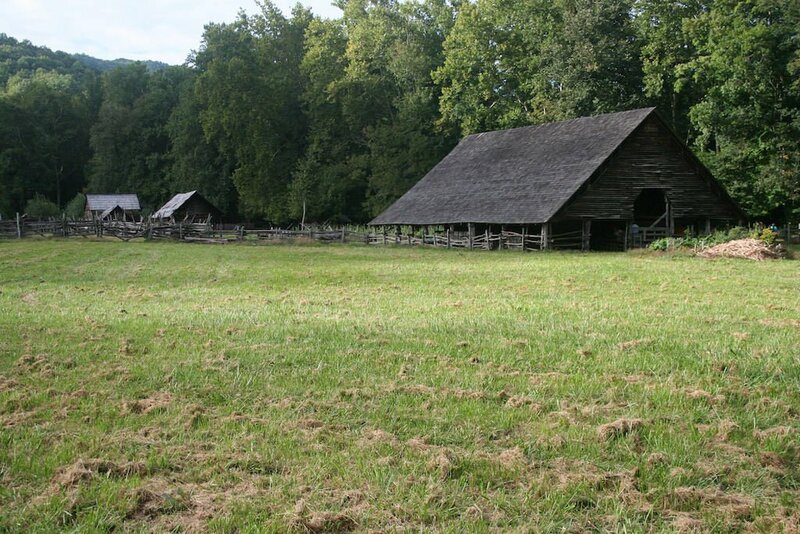 The Park Service has meticulously transported vintage wooden homesteader structures from around the Smokies to this site, including an applehouse, a blacksmith shop, and the John E. Davis House, a cabin built from native chestnut wood that once stood along Indian Creek near Bryson City. Museum exhibits and living-history demonstrations here fill you in on local history. 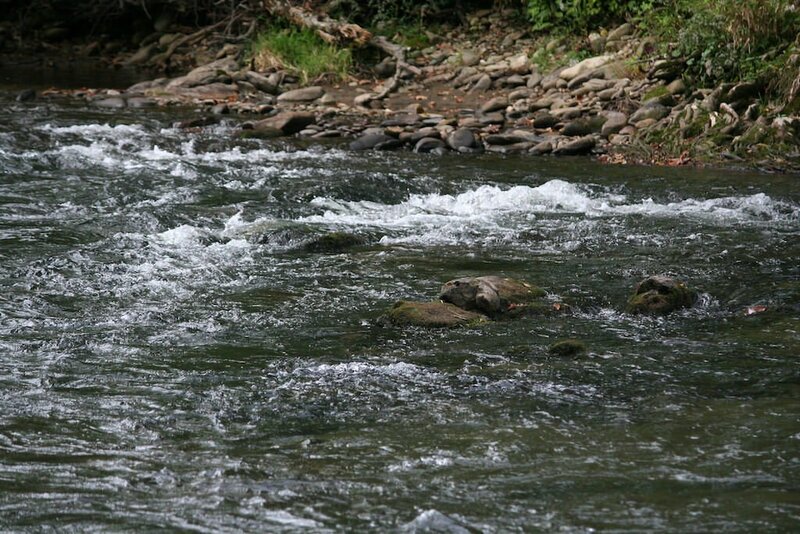 It’s always nice to have a big river as your companion on a hike, and the Oconaluftee makes a very agreeable one. 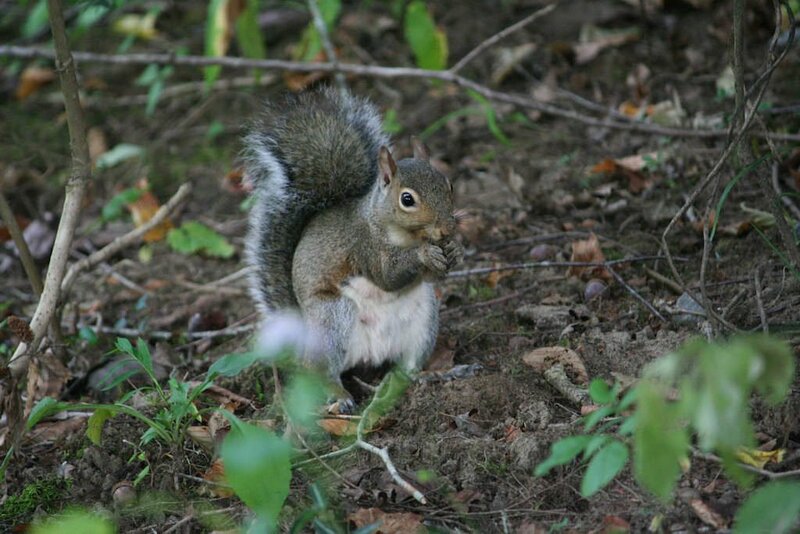 Meanwhile, the riparian woods of sycamore, maple, hemlock, tuliptree, dogwood, and other trees are beautiful year-round. You’ll especially appreciate them on a hot summer’s day, when the deep shade lets you beat the heat. 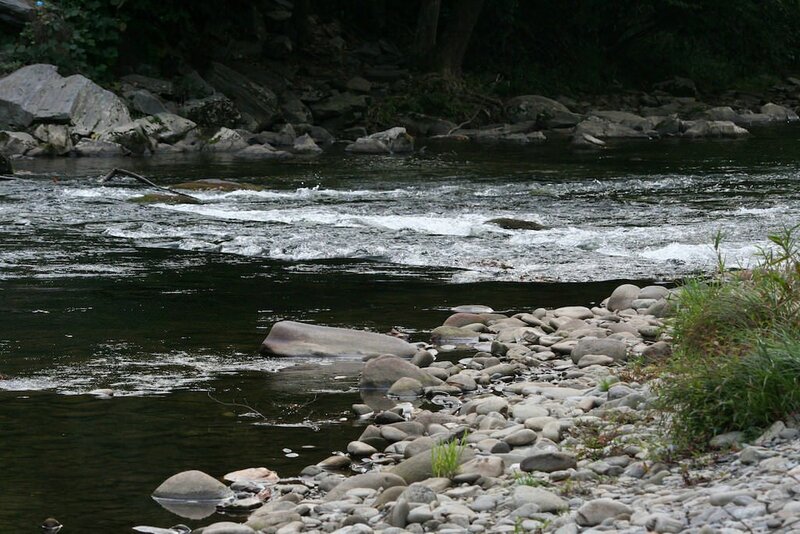 Another major virtue of the Oconaluftee River Trail is the insight into Cherokee culture it offers. Handsomely illustrated interpretive signs sprinkled along the track shed light into the worldview and traditions of these indigenous peoples, who remain such an important part of the region today. As we mentioned above, the well-graded path is generally fairly flat, with only a few gentle hills added to the topographic mix. You only have to cross one road on the Oconaluftee River Trail, and it’s a low-stress one: the Saunooke Bridge Road, just a short ways from the trail’s terminus on the Cherokee outskirts. 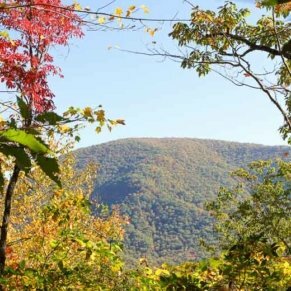 -Spring through early autumn, the Oconaluftee River Trail’s an excellent place to see some Smoky Mountain wildflowers: from trillium and phacelia early in the season to summertime jewelweed and fall asters. 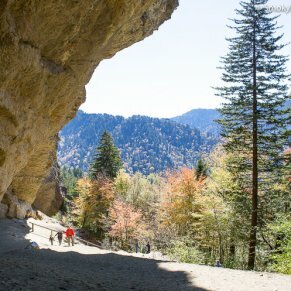 From downtown Gatlinburg, take the main Parkway/US-441 S into the National Park. After passing the Sugarlands Visitor Center on your right, continue straight on US-441 S for 29 miles. 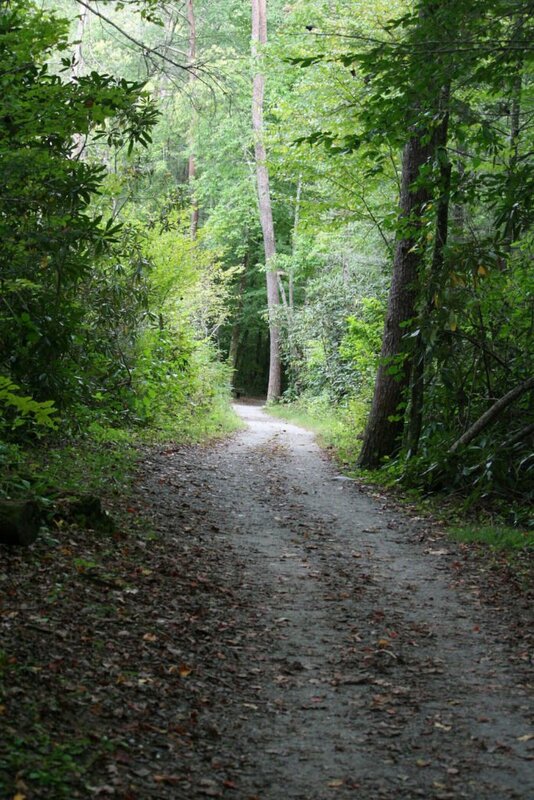 You will park at the Oconaluftee Visitor Center and the trailhead is behind it.